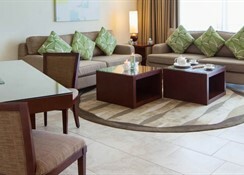 JA Oasis Beach Tower is an elegant beachfront property situated on JBR Walk. The hotel features 180 exceptional serviced and self-catering apartments. It has a premium quality with a contemporary appeal while providing an excellent standard of living. 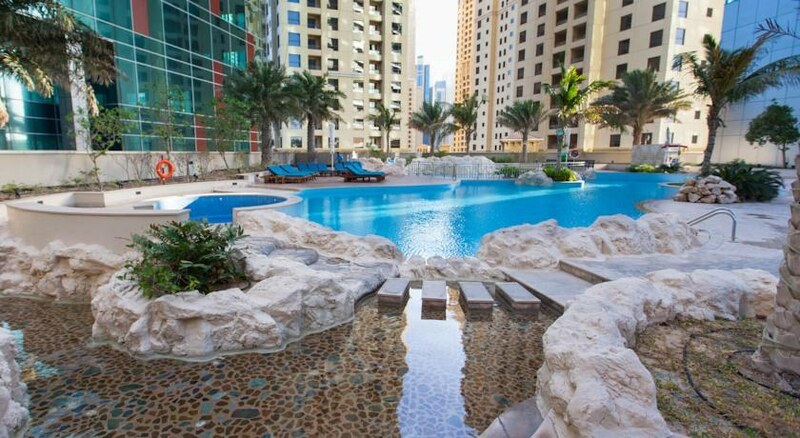 With stunning views over Dubai Marina, the Palm Jumeirah, a beautiful swimming deck, restaurants, and access to the JA Jebel Ali Golf Resort make this luxury beach hotel apartment the best in its class. The staff in this 49 storey hotel speaks Russian, Arabic and English. For guests who wish to be mobile, car rental can be arranged. JA Oasis Beach Tower is within easy reach of supermarkets, bus stops, bars, restaurants, disco, theatre, cinema, taxi stands and many tourist attractions. 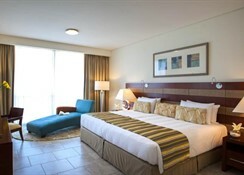 JA Oasis Beach Tower is a great choice for travellers interested in relaxation, beaches and food. Set in a curved glass skyscraper overlooking Jumeirah Beach, this upscale apartment hotel is 6km from Ibn Battuta Mall and 14km from the iconic Palm Jumeirah archipelago. The Dubai International Airport is about 36 km from the hotel. JA Oasis Beach Tower features 180 apartments spread over 45 floors. The apartments are categorised as Deluxe and Superior Apartments with 2, 3 and 4 bedrooms; Premium Apartments with 2, 3 and 4 bedrooms. 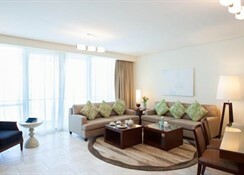 The refined apartments offer free Wi-Fi, flat-screen TVs, plus living/dining areas and kitchens. 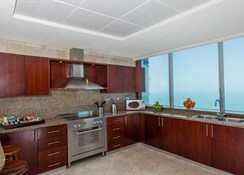 Most units add balconies with sea views, while upgraded options offer Bose speaker systems and coffeemakers. Room service is available. The restaurants in the hotel offer lip-smacking foods and drinks. There are two restaurants in the hotel, including Thyme Restaurant and Wagamama. The Thyme Restaurant serves Mediterranean specialties for breakfast, lunch and dinner, the Wagamama – an Asian noodle bar serves healthy cuisine in a simple and comfortable manner. The hotel also features Citrus Lounge – a lounge that serves tea, coffee and light snacks while overlooking the swimming pool. If you feel hungry while lazing near the pool, head on over to Citrus Express where you can have freshly prepared snacks and beverages. A variety of activities are provided by the hotel such as billiards, table tennis and darts. At the JA Oasis Beach Tower, guests can enjoy a sauna session along with various massage therapies at the massage centre. Guests who wish to be active on holiday can enjoy activities such as basketball, tennis, etc. they can make use of the hotel’s fitness room. Guests can also test their golfing skills at the nearest golf course, which is only 10km from the hotel. Water sports such as jet skiing and water skiing are available at the beach by local providers. 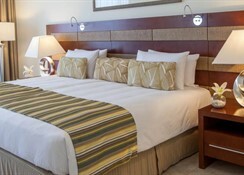 With all these facilities and convenience, this hotel will let you have a delightful experience.